For the majority of the school next week is Camp week, an annual and significant event at Kristin. It is particularly significant because of its timing – at the start of Week 4 – when we know that many students will benefit from seeing their peers in a different context and have the opportunity to connect with staff and other students within their Year, House and wider school community. Camp week is a challenge for students in the context of the outdoors and a chance to thrive and develop relationships surrounded by strong and caring support. Sharing challenges and different experiences with staff and peers outside of the classroom environment, and developing and understanding something about each other, is critical in the development of relationships and trust. It is these relationships that will further support your son or daughter as they journey through Kristin, be that in the Junior, Middle or Senior School. Kristin will be launching soon the software BrainPop school-wide. BrainPop is a group of websites with over 1,000 short animated curriculum-based movies for students ranging in age from 6 to 17 years of age. From famous scientists, sport, space exploration to politics (and everything else in-between!) BrainPop accompanies these movies with quizzes, online games, lesson plans and various additional activities. Key curriculum subjects include Science, Social Studies, English, Maths, Technology, Health, Languages, Arts and Music. Students are enrolled into individual classes created by their teachers. All Kristin Students who are 6 years old or older, will automatically have a login account created for them. Junior Students will have access to BrainPop Jnr, whilst our older students will access BrainPop. Once launched, BrainPop will be accessible as a menu option through myKristin, for easy login. Prior to launch, an email will be sent to all affected parents confirming that an account will be created for your child, outlining the Terms and Conditions and Privacy statements of BrainPop. We encourage parents to sit alongside their child and access the website to see the various activities on offer. As House Captains, these students will take part in a training programme to develop their leadership skills (supported by our Junior School Liaison Prefects), they will open and close assemblies (as well as make special announcements), they will help host school tours and organise fun events to raise House spirit in the Junior School. We thank them in advance for their enthusiasm and commitment to this important role. 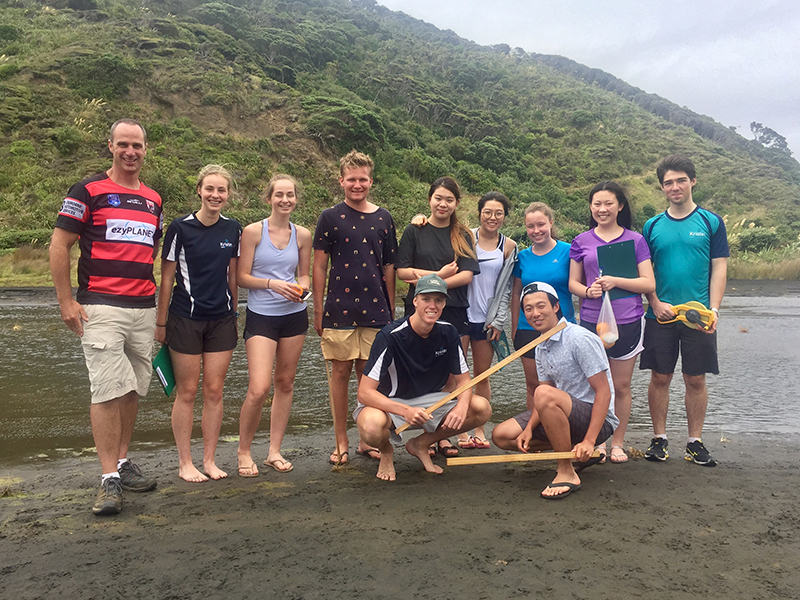 As part of our Internal Assessment on the option topic “Freshwater - Issues and Conflicts”, Year 13 IB Geographers went on a field trip out into the Waitakere Ranges. This trip was the continuation of a previous trip in which we would compare observations made in winter, and now, in summer. Overcast skies and sharp winds did not dampen our spirits as we ventured deep into the bush along the Anderson Trail. The trail follows the Waitakere Stream, from which there were three separate sites to investigate, and three more further downstream near Bethells Beach. We were to test the hypothesis that “Discharge increases downstream and varies markedly between seasons”. Even upon visual inspection, discharge was unsurprisingly much lower this time around in the summer and our quantitative measurements soon confirmed the theory. The river discharge in summertime was quite unlike its winter counterpart, which led to a few mishaps, including a fellow geographer losing his jandal under the river bed due to the strong river current. My fellow geographers and I had two fun and interesting trips, with new things learnt and new experiences to be had, Special thanks to Mr Ferris, Mr Dombroski and Ms McCaskey, who accompanied us. 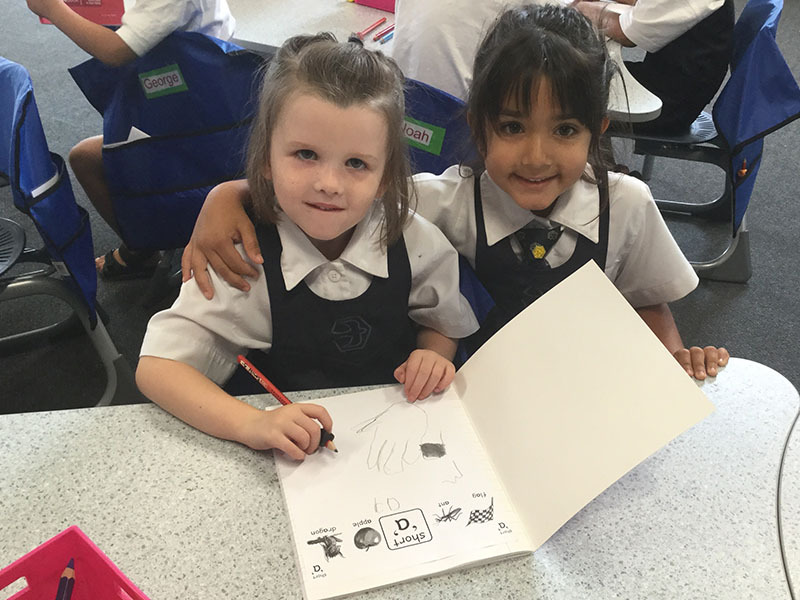 The Year 1 classes have been learning how to make new friends. We found out that friends can be from school or home, family friends, sports friends, pretend and furry friends too. Our toys and shadow could also be our friends! We have practised how to make a new friend. We need to remember to smile, say our name, ask a question and play together. 6M are inquiring into ‘Communities are strengthened by their individuals’. We have explored the communities and teams we belong to and the roles that help to strengthen them. Together we have designed a class treaty that will help to build a strong and happy classroom community. We are also inquiring into how we can work effectively in groups and resolve conflict in positive ways. 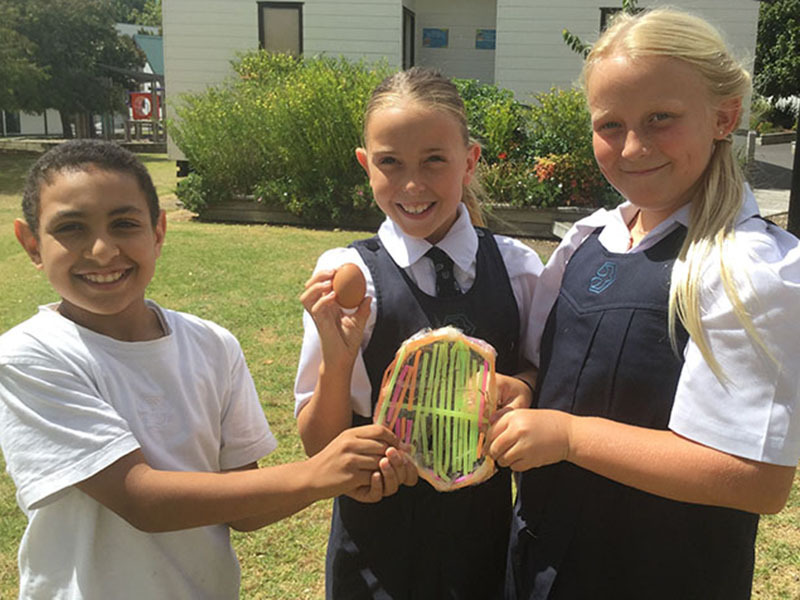 As part of this we undertook the Crash Test Egg challenge, where we were challenged to construct a basket using straws and tape that would catch and protect an egg dropped from a height of one metre. Most groups achieved this with success on a grass surface but our designs were really tested when we tried it for a second time on concrete! 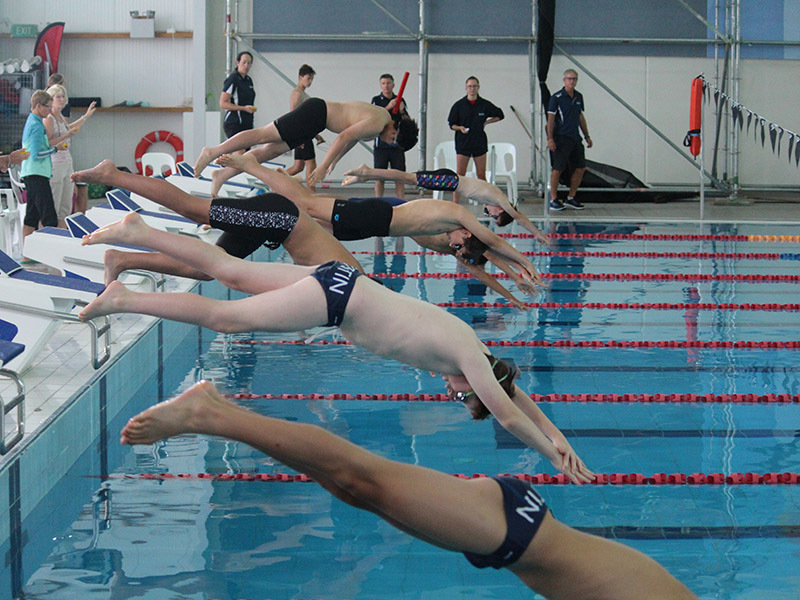 The students headed up to the fabulous National Aquatic Centre for the annual swimming championships on Tuesday. There was great participation in both the main pool and the fun pool. There were numerous heats in the 25m races and it was great to see our top swimmers in action over the longer distances. Well done Jupiter House who led the way in the house competition. There was some intense competition in both the class and house relay events which concluded a fantastic day for all. Congratulations to the individual winners. Huge thanks to the staff involved and also to the parents who helped out as timekeepers. Both contributed to a special day thank you. 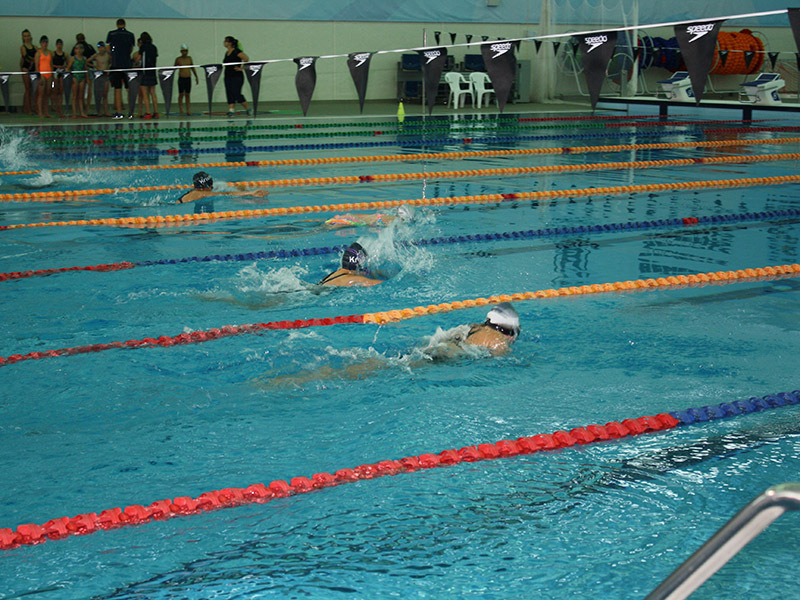 It was another successful swimming championships at the National Aquatic Centre. There was a full programme of competitive events held, as well as the opportunity for each house to participate in their own fun events. In the main pool there was some intense competition and some hotly contested house relays. 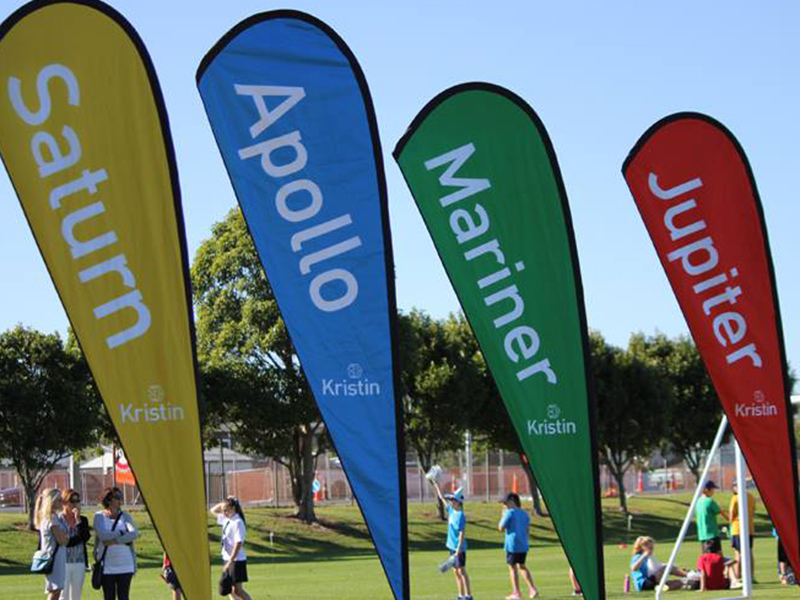 Well done to Mariner House who took out the house championship convincingly. Congratulations to those who competed and to the individual champions. Special mention to Grace Kingsnorth and Teirnan Keane who won all the events they entered in the junior girls and senior boys championship. Huge thanks to the staff and parents who worked tirelessly throughout the day to ensure the event ran smoothly. In the hope of keeping pace with their children, Junior School parents registered to attend our iPads 6.0 information sessions and workshops this week. 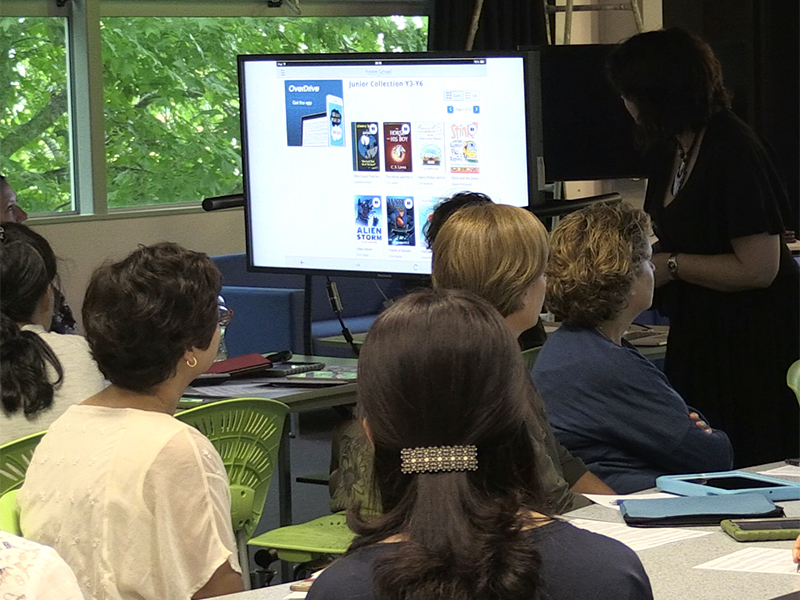 Expert presenters from across the school provided valuable information on a range of topics relating to our school application of emerging technologies. Please be aware that the Junior School students might arrive home a little earlier next week. With the majority of the school away on camp, there are likely to be far fewer students on the bus. Similarly in the morning, the buses will endeavour to keep to their schedule but may be running slightly earlier. No walk on Wednesday 22 February due to camp week. The Walking Group will resume on Wednesday 1 March. Friday 3 March, 12pm-1pm, LIC Courtyard. This will be a whole school assembly to celebrate 44 years of Kristin. All families are welcome to attend. 9.15am - Junior School and 10am - Middle and Senior Schools. Please inform family and friends who may be interested in sending their children to Kristin about our Open Day. They must register their attendance with Linda Teagle, 415 9566 ext 2324 or email Linda. Please bring any sports shoes, school shoes, sandals or general footwear in good condition to the team at the Roy Munn Gym. One of our Kristin parents recycles these shoes to the children at Onepoto School in Northcote. Many of these children are unable to play sports or go on school trips due to lack of appropriate footwear. This initiative has been running for 6 years and hundreds of shoes have been donated for recycling to the school. All sizes welcome however Onepoto is a primary school so the smaller sizes are sought after. Please bring your footwear to us by the end of term. Any queries to Evelyn Davis 027 5611 906. Thank you. Each class in the Junior and Middle School asks for volunteers to be Class Co-ordinators. The role of the coordinator is to help encourage interaction within the year level community. They also play an important part in supporting the classroom teachers. If you are willing to take on this role in your own child’s class, please email Gaynor Kimber in the Junior School office or email Carol Rowley in the Middle School office. Your help would be very much appreciated. This is a great opportunity to connect with other parents in your local area and for new families to meet others in the comfort of one of our homes. Our next morning tea is on Wednesday 8 March, 9am-11am in Herne Bay. Please register your attendance with Trudi Petrie. We welcome everyone. KFF's Cultural Arts Group invites you to join them at WOW in Wellington on Saturday 30 September 2017. Preferential ticketing opens shortly. Please confirm your interest in joining this group to enjoy WOW and all its glory by emailing Nicky Shave urgently. Ticket price including programme $180 pp for excellent seats. Payment needed into School account by 24 February. Travel and accommodation will need to be individually arranged. Group will have the option to meet for dinner prior and attend other events Wellington has to offer that weekend. Copyright © 2016KristinSchool, All rights reserved.